Double Hung Windows in custom sizes and custom styles in Cincinnati, OH. Sentry installs new double hung windows in your home matching the style, size and budget you are looking for. Double Hung Windows are clean, high performance and energy efficient. This style of window is very popular because it is very easy to keep clean and sleek in appearance. Each window sash can slide and separate from each other, preventing "inbetween" dirt buildup to occur over time. Sentry can install double hung windows in custom sizes and styles and work with your budget to find you the best option. 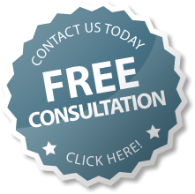 Please contact us for a free consultation on double hung windows and installation in the Cincinnati, OH and surrounding areas today. Thank you for your inquiry on double hung windows in Cincinnati, OH. A Sentry specialist will follow up with you shortly to discuss your home improvement needs.